Do White Teeth Really Mean Clean Teeth? Everyone wants whiter teeth. Your smile is your widest display, so you might as well show it off loud and proud. While we all strive for whiter and brighter teeth, is that what is best for our teeth and gums? Does this constant need for a whiter smile have any consequences? If you’re considering whitening or bleaching your teeth, consult with your dentist first. They will be able to let you know if you are in need of whitening and if it will affect your enamel as well as your gums. Your teeth can become discolored by stains on the surface of your tooth or changes going on the inside of your teeth. Extrinsic: This is when the enamel becomes stained. Coffee, wine, soda and other drinks and foods can stain the outside of your teeth. Intrinsic: This is when the inside of the tooth, called the dentin, starts to stain with a brown or yellow tint. Age Related: This is a combination of both intrinsic and extrinsic factors. Your dentin naturally stains over time and your enamel becomes thinner with old age. Smoking and certain foods can make your teeth stain as well as if you’ve chipped it. Teeth whitening is different for every patient. If you already have work done to your teeth such as veneers, bonding or tooth colored fillings on the front of your teeth, whitening may not work. It’s best to consult with your dentist before doing anything. We know that everyone wants a beautiful and healthy smile.  At Daxon Dentistry, we are passionate about providing you with the best smile. If you are looking to incorporate cosmetic dentistry into your daily life, we are happy to help! Contact us today through our website or over the phone.